We live in VUCA times — volatile, uncertain, complex and ambiguous. Those were the words the US Military began to organize around at the turn of the century and they easily describe the world in which we live today. How do we act in such times? Sometimes it is possible still to see far enough ahead that we can determine the outcomes we desire and steer towards them. We can collaborate and cooperate and define metrics which will measure our progress towards something we see. What what about the times when the horizon is just smoke? When we cannot see the future, where do we begin? 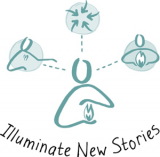 Based on a model developed earlier this century by The Berkana Institute and refined by seven years of working with disasters, crisis, transitions and social innovation, NewStories has developed a six stage spiral, a map for navigating difficult times and co-creating the results we wish to see. We begin every undertaking with listening with respect, curiosity and generosity. 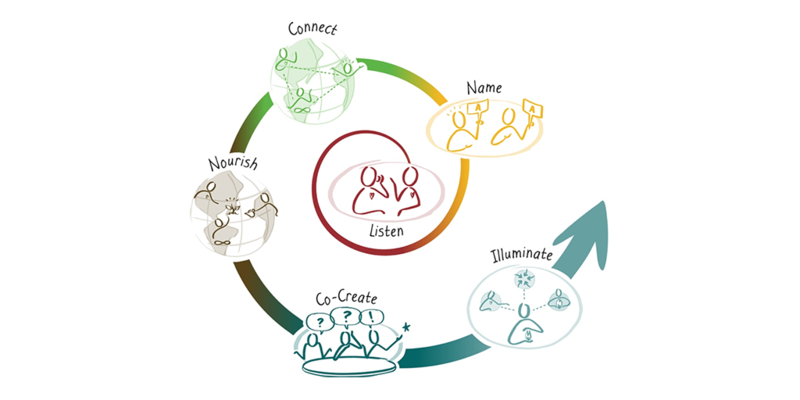 Co-creating collective impact always begins with listening. Stopping. Being still. Emptying your mind. Set aside your knowing and your grand strategies and plans. Listening even to the whispers for the seeds of possibility. Place your attention on the cracks in the old normal and listen to what is going on there. Notice what is already happening. When you are still enough, you will begin to notice something beginning to shift. NewStories begins by listening. Noticing has power. Noticing and reflecting back to the system what needs to change or what is starting to happen makes it more visible and accessible. Sometimes that includes naming and becomes available as a rallying cry, so those who care about similar changes begin to find each other. Often times those who will create the new begin alone. They feel called to a particular opportunity or problem where they begin to discover what else is possible. Change starts to happen when those called to similar efforts begin to notice they are not alone and start to connect with each other. Our work at NewStories is often with Community Based Innovators – the people who have stepped forward to change their own lives and to improve their communities or organizations. Sometimes people who are innovating are isolated, even in their local context. When people involved in local change connect with each other across distance and difference, they learn from each other and find support from their peers. 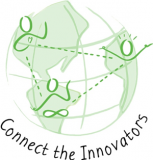 Once connected by enabling structures to support the local changes, a translocal or cross-sector eco-system begins to emerge. It will grow if nourished. Nourishing the system can mean identifying synergies, sharing resources, creating safe spaces for leaders to learn together, support to make the case for change, co-developing strategy and theory of action — all these help as people are looking for what comes next. Co-creating is about taking action and tracking the results of that action.It’s about coming together to do something we couldn’t imagine or undertake alone. It’s about taking actions soon, not waiting until we figured out the perfect plan, raised all the funds we needed. It’s about starting anywhere, doing it for a while, pausing, reflecting, adapting and acting again. What’s changing? In conventional organizational language this is referred to as evaluation or measurement. What actions, public statements, new programs, policies, practices or decisions are resulting from your work? What’s happening here that might serve elsewhere? Stepping back from the action, taking a bigger perspective, finding patterns, conditions and meaning that can be shared and possibly applied elsewhere.